Millions of people from all over the world have traveled to this small Eastern European village in search of answers to life’s biggest questions. 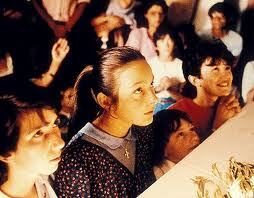 It all started in 1981, when six children claimed to see a mysterious lady on a hillside near their village, Medjugorje. Identifying herself as the Queen of Peace, the lady continues to appear to the six “visionaries” today, giving them messages for the world and entrusting them with prophetic secrets that concern the future of mankind. When the visionaries experience these apparitions, they are momentarily enraptured in a state of ecstasy. Similar events have happened throughout history, but none to such an intense degree as in Medjugorje. 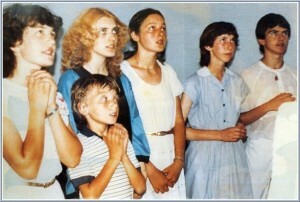 When the apparitions first began, Medjugorje was located in communist Yugoslavia. The visionaries endured intense persecution by the communist government, but the children never changed their stories. Communism is over now and peace has returned to the Medjugorje region, but the apparitions continue. According to the visionaries, the “ten secrets” about the world’s future will happen within their lifetimes, and many signs indicate that the time is near. But is it all a hoax? Furthermore, the vast majority of visitors to Medjugorje describe a sense of unearthly peace, and many seem to find whatever kind of healing they went there seeking. Is it mass hysteria, or is something truly happening in Medjugorje? By bringing people who have never been there before and documenting their journey, we conducted an investigation of sorts to find out what’s really going on in Medjugorje. The group was completely immersed in all the wonders of the place, and the result is a film called APPARITION HILL. Bring Apparition Hill to your town… Host a screening! It makes a great fundraiser. You are here: Home / What is Medjugorje?